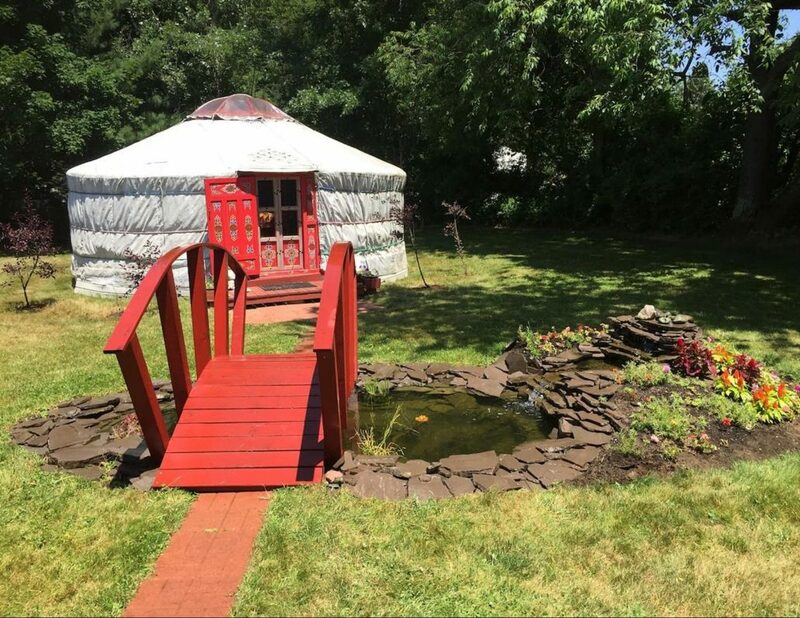 For a unique healing retreat in the heart of the Saratoga Springs region; The Luminous Yurt is a hand-painted fair-trade authentic Mongolian yurt complete with electricity, a pellet stove and AC. Just a few steps away from your own private bath – yet a world away from it all. Enjoy your own private space set amongst a verdant backyard with a fish pond & bridge, lounge chairs, fire pit, and hammock. Be sure to ask about the onsite massage and energy healings we can offer you during your stay.